For Proservia’s employees, the introduction of Augoory means that they can identify problems before service restrictions occur, and services can, therefore, be provided proactively in line with the company’s philosophy. Proservia uses Augoory from Braintower as part of its reference architecture for network tools. Augoory from Braintower helps customers to work efficiently, shorten response times and achieve a high quality level for the services on offer. Proservia GmbH & Co. KG (www.proservia.de) offers a unique combination of onshore IT services and HR services, and enables integrated solutions for humans and IT as part of companies’ digital transformation activities. What makes this possible is the experience of more than 1000 IT service employees in Germany (EMEA: > 7000) and integration into the Manpower Group, with its various HR-related services and industry-specific focus. Proservia is characterized by its tailor-made and integrated solutions, proximity to its customers, quick decision-making processes and maximum flexibility – in consulting, implementation, and operation too. Continuous further development not only of customers, but also of services and the people involved, as well as close cooperation with partners for optimum customer benefits, forms part of the corporate culture which we actively live and breathe. Proservia is working tirelessly to optimize the services it offers, and in so doing particularly uses modern monitoring and management tools which make services more efficient, manage services in a more proactive manner, and therefore increase the added value for customers. This is exactly what Augoory offers, as provided in the context of next-generation monitoring from Braintower Technologies. Elastic is a database and the suitable memory. Logstash connects and processes the data collected in the database. Kibana is the web interface which offers excellent visualization features. Using a customer as an example, this means that absolutely all of the network devices are recorded and documented. All log messages from all devices are recorded during this process. These log messages can be broken down into a multitude of relevant components. Data can thus be segmented by date, IP address or the message it contains, to name but a few examples. This allows users to link log messages to one another and therefore acquire new insights. The evaluation process is extremely fast. More than 1500 log messages can be processed per second. These data volumes would have been unimaginable in the past. It is, therefore, possible to detect whether a problem has occurred within a system in real time. Even interesting log messages can be automatically responded to with messages in the monitoring system or by email. Visualizations – histograms, graphs, pie charts, donut charts and more besides – make up Kibana’s core. Elasticsearch’s comprehensive capabilities are therefore being used and combined. What still needed to be done manually in the past can now be achieved by automating applications. Scripts, which query all the network devices and obtain information about what devices are showing inconsistencies and how they are connected and configured within the network, are used for this purpose. The intuitive web interface allows users to search for individual devices within the network. For example, you can find out how long a specific IP phone has been in use for, or what servers send the largest volumes of data. For the responsible service unit’s employees, this means that lots of information which had to be found out as part of a time-consuming process in the past can nowadays be recorded completely and very quickly indeed. Data can be analyzed rapidly simply by means of visual representation, and can then be checked directly through rapid processing. Changes to existing configurations can also be made using the web interface. The major advantage is that even very specific, albeit repetitive, changes can be adopted by scripts. Not only does this save a great deal of time; it also minimizes potential sources of error. Technicians can equip specific ports with individual configurations on more than 90 switches within the short space of just 20 minutes, for example. As part of the project, Braintower has developed the necessary solution using Proservia’s requirements as a basis. Since data is processed in real time, it can be assessed whether the changes are working as intended. Continuous backups ensure that a functional configuration can be reimplemented if errors occur. The system also handles complex documentation, even in relation to the most minor of changes. For Proservia’s employees, the introduction of Augoory means that they can identify problems before service restrictions occur, and services can therefore be provided proactively in line with the company’s philosophy. Proservia uses Augoory from Braintower as part of its reference architecture for network tools. We have found an ideal tool in the form of the reporting service from Braintower. Since I knew the people at Braintower from earlier projects, I knew that adjustments would be made punctually and precisely – something which was confirmed in practice. The individual customer projects were all implemented quickly and successfully. Claranet has been using the reporting service from Braintower for a good 4 years now. The managed service provider in Frankfurt uses it to prepare customised PDF reports and saves 1 man day per customer and month compared to the conventional way of reporting. And all this with an automatically configured service which is highly efficient and individually adjustable. 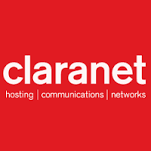 The first customer for whom Claranet implemented the Braintower reporting service benefitted from a monthly service level report on availability of applications and services, a monthly availability and capacity utilisation report as PDF and a monthly account report. Claranet and Braintower have since jointly developed the reporting service further so that it can be automatically configured and supplied with data from Claranet’s data stock. Neither the customer nor Claranet or Braintower need to physically intervene. Claranet merely sets an SLA reporting flag in its systems and the rest is taken care of automatically. Cooperation between Claranet and Braintower is always aimed at achieving maximum usability and a high degree of automation. This makes relevant cost savings possible with first class reports; manual work really is a thing of the past. And it is also easy to add new customers. Since mid-2010, for example, several Claranet customers have already swapped over to Braintower’s reporting service. Our experience with Braintower is excellent. Braintower has proved to be the ideal partner for us thanks to the company’s IT expertise and its understanding of our processes and procedures. This is also the reason why we will be using the services of the Saarland-based IT and network professional nationwide in future. Mayflower Capital’s mission is no less than to ring in a new era of wealth building, wealth structuring and far-sighted life planning. 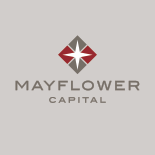 The foundation is provided by a sound relationship of trust between customers and Mayflower Capital. First class IT and a sophisticated network are necessary to be in a position to constantly live up to expectations in a complex world. Braintower has provided precisely this for all Mayflower Capital locations throughout the country. An important aspect is that Braintower is involved even at the planning stage and plans the necessary power and cables with building owners and architects. And of course Braintower also ensures that a high performance network is in place when the company moves into the new premises – including the link to the central server location. In addition to taking care of the initial installation, Braintower is also service partner and operates, monitors and reports network components at the individual locations. We are impressed by Braintower’s commitment to service. The team in St. Ingbert lives this aspect – a great advantage for us and we know we have made the right choice – both at a technical and a human level. Before Michael Frank and Steffen Haug set up today’s Media Resource Group in 1995 they were passionate about making music an experience of the very best quality. In their HiFi studio they soon received the first inquiries from performing artists and requests for annual support so they quickly moved in the direction of events. Today, the company from Crailsheim has a permanent staff of 25 and countless freelancers for the creative and technical staging of a broad variety of events with light, sound and video. But in recent years not only the business field of the Media Resource Group has steadily grown; the IT requirements have also increased alongside it, with the company now staging interactive events and television broadcasts, for example. Spectators can vote by mobile device or ask questions using a specially developed app. This all presented huge challenges to the technical implementation for which the IT specialist from BRAINTOWER in St. Ingbert had been largely responsible for a good year. Contacts had existed for some time through joint customers where BRAINTOWER had been responsible for the IT and network technology at events organised by the Media Resource Group. The path was therefore short when it came to solving any queries which happened to crop up. In a first project together with the Media Resource Group, BRAINTOWER implemented a WLAN access point solution using which 500 to 1000 mobile devices can be managed simultaneously. 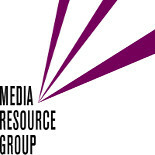 With this solution Media Resource Group events can be designed and implemented interactively. By contrast, standard solutions manage a maximum of 40 to 50 mobile devices. In a first step BRAINTOWER virtualised the existing data servers to set the new modernisation course. In the next phases, further optimisation of infrastructure and hosting of the web sites will follow. In addition to project work, BRAINTOWER has also assumed the maintenance of the IT infrastructure. The company’s own IT management system is used here which analyses weak points and pinpoints acute and potential need for action. Over the past two years we have successfully implemented many projects concerning our network with BRAINTOWER. We quickly discovered the broad expertise of the team which is of regular benefit to us. This starts with project definition right through to implementation. And the team members not only know their stuff but are also pleasant to work with. I am certain that we will be using the services of BRAINTOWER in future too. 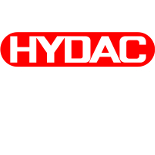 HYDAC was founded in 1963 as a company for hydraulics accessories. Today, it is an international company group with 7,000 employees, 50 branches and 500 service and trading partners throughout the world. It is clear that much is expected of the corporate network. It is a great challenge to satisfy these expectations in this well established IT environment. And this was precisely BRAINTOWER’s task at the beginning of 2009. How can a network be configured to reliably cover all processes and keep them up and running securely? The first step of cooperation was therefore also to streamline the network. This task was performed within six months for the location of Sulzbach with 11 factories, 2 redundant computing centres and over 80 switches to distinctly improve network stability. In addition to the 11 factories in Sulzbach, the new network concept has since been introduced at 7 further factories in Saarland and at 20 locations in Germany. Network standards are now being rolled out internationally at over 50 productions and distribution branches. Now that the network standards have been successfully implemented, many current projects involve permanently improving and modernising the network technology. Focus is always placed on all locations of the company group because they are to benefit equally from the network performance. Based on its experience in the administration of large networks, BRAINTOWER actively supports the HYDAC IT department which operates and manages the network in these projects. BRAINTOWER is also HYDAC’s Cisco partner, with the company procuring all Cisco components from the St. Ingbert systems provider. One joint project of BRAINTOWER and HYDAC IT was the installation of a wireless LAN controller which benefits all locations of the corporate group through the efficient administration of the access points. As a craftsman, I need an efficient and reliable IT system. But that’s not all. Above all, I also need someone who understands me and my special requirements, who can translate these into hardware and software and support me in the everyday running of the system. In BRAINTOWER I know I have a reliable partner at my side. 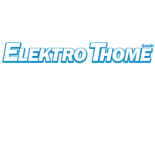 The story of Elektro Thome GmbH dates back to 1936. Back then Klaus Thome established a company for electrical installations and radio in Saarbrücken-Burbach. In 1973 Alfons Thome converted the business to a company with limited liability and in 2008 the long-standing employee Armin Lackes assumed sole management. One thing has remained constant in the company’s long history: the high expectations it places on its own service providers. Because anyone selling a high quality service themselves does not compromise when he is in the buyer’s shoes. BRAINTOWER has been equipping Elektro Thome GmbH with servers, PCs and printers since 2009. The decisive advantage for the company is the exact configuration of individual components to fit its requirements. BRAINTOWER’s employees know what the business expects from its systems and put together the individual components accordingly. And of course BRAINTOWER is the one to call if there is a problem. The server hardware has since been replaced completely and BRAINTOWER has set up the server and the new clients. Anyone seeking success in the breweries trade nowadays not only needs to know the art of beer brewing but must also have a good head for business. No wonder, therefore, that together with BRAINTOWER the Grosswald Brewery has such a good IT infrastructure and cuts costs thanks to a clever IT strategy. This even gives the company added security. The starting point for cooperation was a classic server landscape in the brewery. The backups had not yet been automated and therefore had to be activated and monitored manually. Since the old hardware ran on several servers, the costs caused by the considerable power consumption and servicing were high. Enter BRAINTOWER‘s solution: the existing servers were virtualised, saving on energy and service costs. The use of a QNAP NAS also enabled an easy-to-use backup solution to be found. The network attached storage (NAS) now runs automatically in the background and guarantees a high level of data security. This constellation permits a speedy response to any fault which may suddenly occur in the system and enables data to be reconstructed promptly. Further projects are being planned to follow this one, including a conversion of telephony to Voice over IP (VoIP) and further optimisation of the IT landscape. After we were able to acquire Braintower Technologies as a client, we quickly extended the one-sided relationship into a mutual one. The chemistry was right and trust had been built up – the best foundation for good cooperation. The tax advisors and chartered accountants Stiebel & Altmeier look back on a history spanning over 40 years. Alongside sound advice and work of the tax advisors and auditors, one reason for this success was the willingness to keep abreast of technical developments. Braintower Technologies has been looking after the firm’s entire network for some 8 years now. In addition to the security of the data, work naturally focuses on the networking of the desktop computers, the configuration of internet access and not least the provision of remote access solutions via virtual private networks to facilitate home offices. Braintower also supplies the hardware alongside configuring and servicing the networks. Both the computers and the monitors and entry equipment are attuned to use in a firm of tax advisors and chartered accountants.